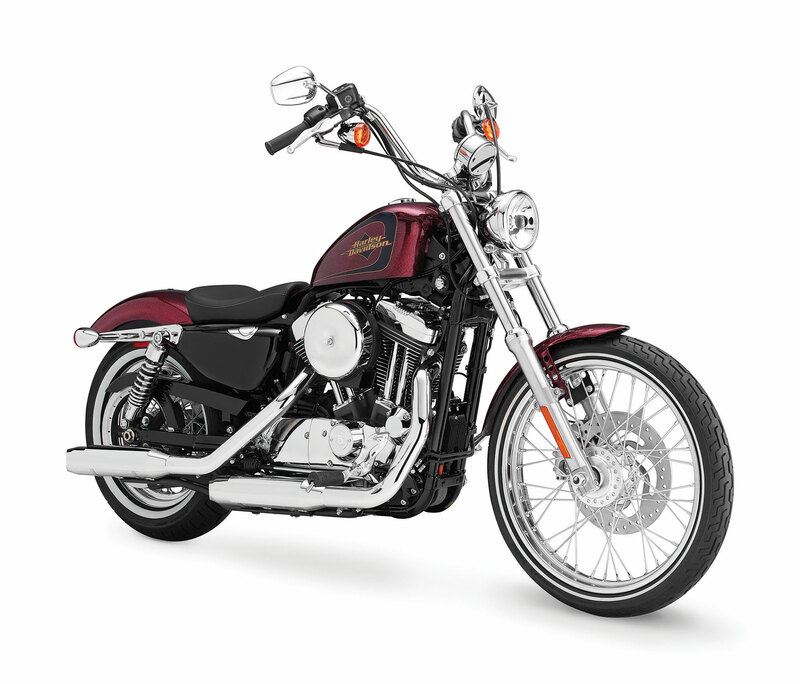 The Seventy-Two® motorcycle offers a classic Sportster® 2.1-gallon fuel tank, narrow whitewall tires, Chrome Steel Laced wheels, and high mini ape-hanger handlebar that complete a look that nods to chopper custom motorcycles of the 1970s and to current trends in garage-built custom motorcycles. Grab ahold of the stainless steel mini-ape hanger handlebar and put your fists up into the wind–it’ll take you back to the glory days of chopper cruising. And to keep the look cool and clean, the wiring is routed inside the steel. Large (21-inch front) lace-spoked wheels with their bold brilliant white walls complete the old-school low-rider look. 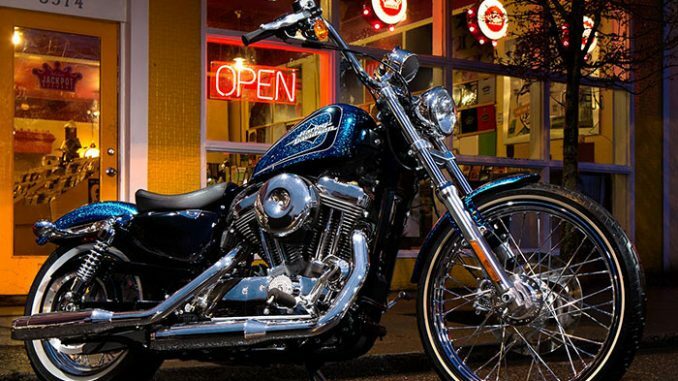 The chopped rear fender with side-mounted plate completes the Seventy-Two® model’s long, low chopper look and keeps things classically clean and raw. The chrome bullet taillights combine this old school retro-styling with new school technology, packing stop beams, turn signals and running lights into each lamp. Hard Candy Custom™ paint is a large metal flake finish that’s more than just paint job, it’s a shining declaration of independence—bright, bold and unique. 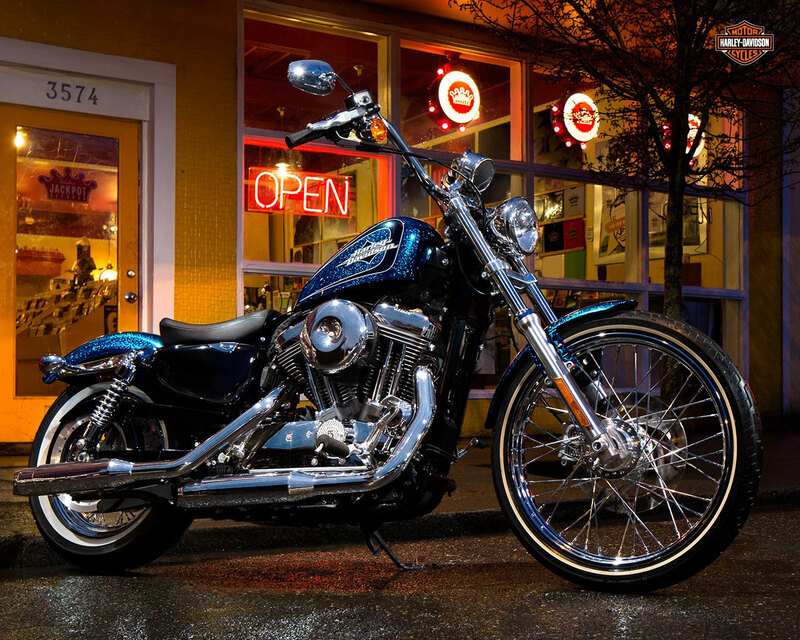 The Sportster Seventy-Two is available in Hard Candy Custom™ Cancun Blue Flake, Hard Candy Custom™ Quicksilver Flake, or Hard Candy Custom™ Big Red Flake. Recalling the iconic rebel styling of ‘70s custom bikes, Hard Candy Custom™ paint marks another milestone in The Motor Company’s legacy of innovation. We start with several passes of 200 micron flake over a black base, then clear coat it, hand-lay the graphics, and apply the many layers of clear coat to allow the flake to shine through. It’s a painstaking process that delivers a premium custom look straight from the factory, so you can start flying your colors with no waiting or extra effort. 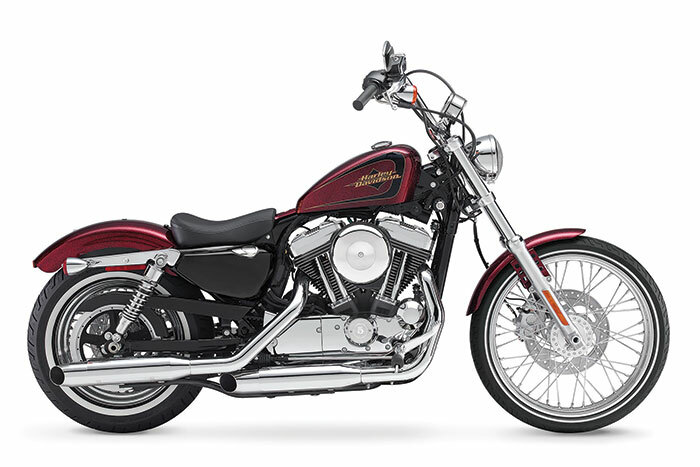 Feast your eyes on the 1200cc Evolution® engine and there’s no mistaking its roots. This is authentic Harley-Davidson style through and through with an attention to detail you won’t find from any other motorcycle company. Black powder-coated cylinders and cylinder heads are topped off with chrome rocker covers and an old school round air cleaner cover for a tough vintage Harley-Davidson attitude. It’s a jewel machined out of metal. Pure. Dripping with power. From the classic edge of the cooling fins to the clean lines of cases and covers—the 1200c Evolution® engine makes an ironclad statement about holding on to what’s right and staying true to what satisfies the rider.